Ace Handling is an independent and privately owned materials handling company, specialising in the hire, service and sale of new, refurbished and used equipment. JCB Teletruks, Rough Terrain and Telescopic Handlers, Container Handlers, CombiLift Multi Directional Machines, Flexi, Bendi and Aisle-Master Very Narrow Aisle Machines, Pallet Trucks, Stackers, Order Pickers, Reach Trucks and VNA Machines, Tow Tractors, Scissor Lifts, Boom Lifts, Cleaning Machines, Mezzanine Floors and Pallet Racking. Established since 2001 we have built an enviable reputation throughout the Midlands for both committment to customer services, and the realiability of our products. 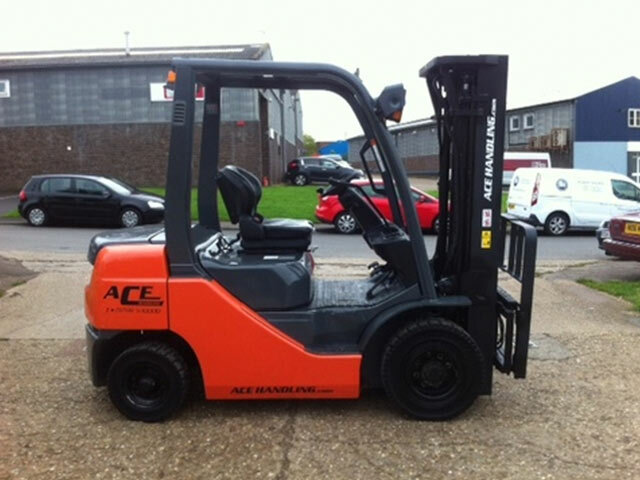 Ace Handling is an independent and privately owned materials handling company, offering forklift truck hire, forklift truck servicing and the sale of new and used forklift trucks and pallet trucks. We are based in Rugby, Warwickshire. We offer 'all makes' servicing, and flexible maintenance contracts: from scheduled maintenance, to all inclusive service. 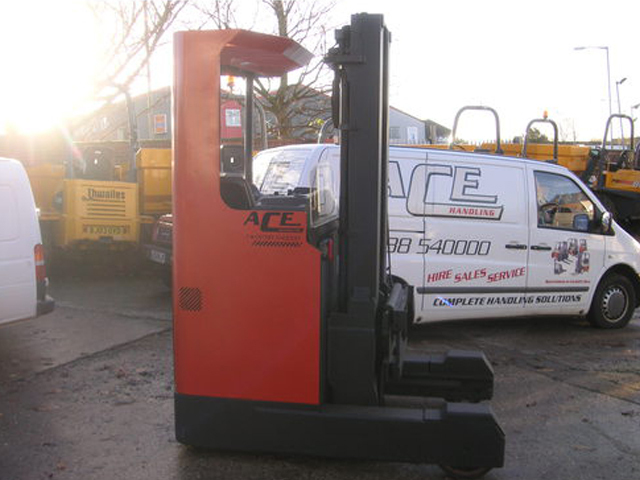 Ace Handling specialise in the hire and sales of forklift trucks; we provide fork lift truck hire across Midlands, including Rugby, Warwick, Birmingham, Northampton, Peterborough, Coventry, Leicester, Luton, Oxford, Nottingham, Nuneaton, Wolverhampton, Derby, Stoke on Trent, Walsall, Tamworth, Huntingdon, Bedford, Milton Keynes, Leamington Spa, Stourbridge, Stratford upon Avon, Evesham, Bromsgrove and everywhere in between. We have a wide range of forklift trucks for hire, including leading brands such as Mitsubishi, Linde and Toyota forklifts. 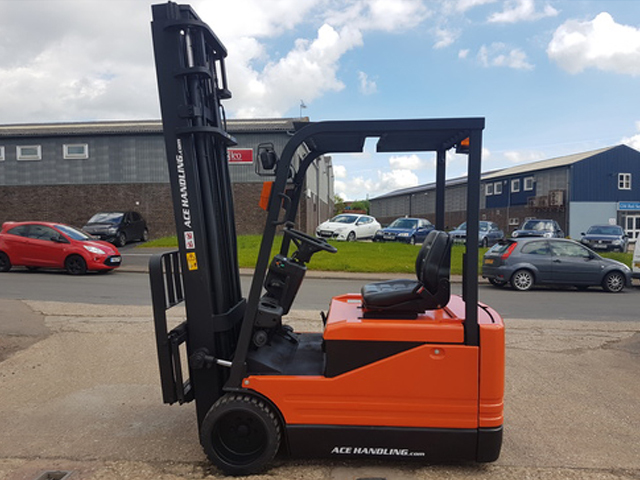 For the best deals in forklift and lifting equipment, our used and refurbished forklifts offer quality at a reasonable price - backed up by the Ace Handling guarantee. Call us on 01788 540000 for a free consultation.